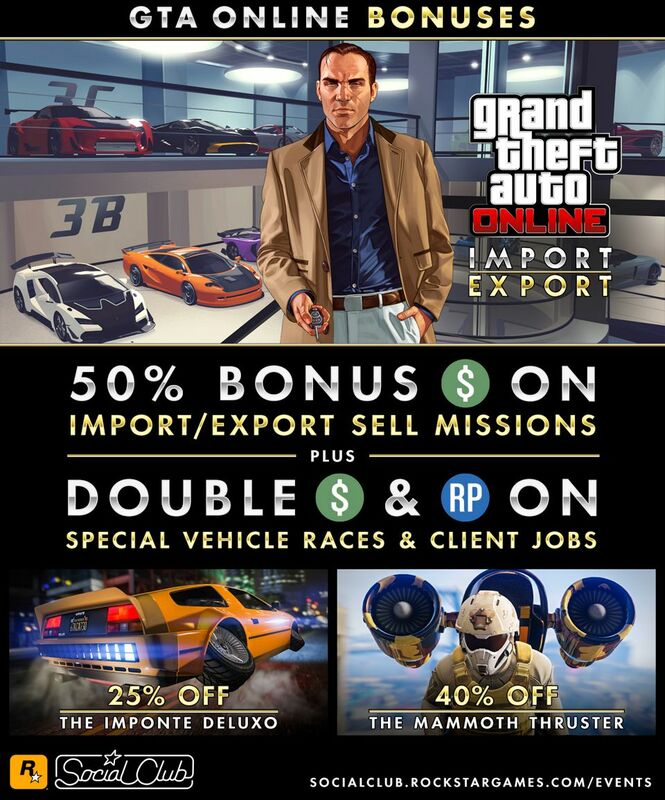 This week, CEOs will receive a 50% Bonus GTA$ on Import/Export Sell Missions in GTA Online and also a 50% discount on Special Cargo Crates. In addition, double GTA$ and RP will be awarded for the Rockstar Special Vehicle Races, Special Vehicle Works, Client Jobs, and Weaponized Vehicle Mission through November 19th. Nagasaki Blazer Aqua — 40% off. Bulletproof Tires — 30% off. Body Armor — 35% off.